Cargo bikes have been picking up momentum in the United States over the last 3-5 years. 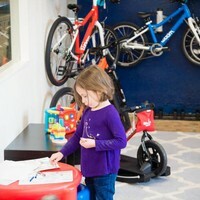 At Bike Shop Girl, we really love the midtail cargo bike and think it could be the cargo bike to fit into every family. 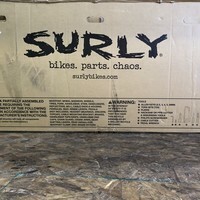 WHAT IS A MIDTAIL CARGO BIKE? 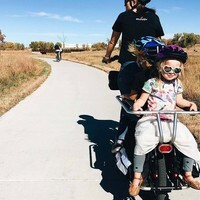 In our opinion, a midtail cargo bike is a bike that is longer than a standard bike, typically built to carry a load in the back but can also fit in a bike rack with the front wheel flipped around if necessary. Most carry 2 small kids but some carry 1 kid with extra space between you and the child. Midtail bikes have a longer wheelbase which is typically by lengthening the distance between the rear wheel and the seat tube. This makes the space available for a rear rack or a custom frame to carry things much longer BUT it is still shorter than what we would call a "longtail" cargo bike. Midtail cargo bikes typically carry 1-2 kids max instead of the 3 kids that you would see on an Xtracycle Edgerunner. With so many midtails hitting the market we couldn't happen to ask ourselves, is there a rise in interest in this "in-between" bike? There are few very compelling midtail cargo bikes either readily available or entering the market as we write this. Here are a few that we keep in stock or have ridden! Cargo bikes have evolved so much in the past 10 years. The fact we are able to publish an article talking about SEVERAL midtail cargo bikes is so very exciting to me. One big reason that there are so many options for cargo bikes is that every person, family, and lifestyle is unique. With that in mind, we are keeping the pros and cons very high level. 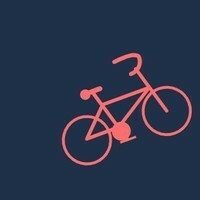 The best thing you can do is to come test ride or rent a cargo bike for a day or 2 to assess your personal situation! IS A MIDTAIL FOR YOU? Personally, we are excited about the growth of midtails and the cargo market. 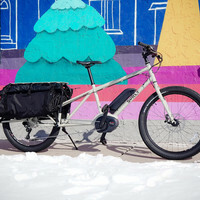 A standard longtail cargo bike isn't for most people but it is what has been most readily available from brands like Xtracycle, Yuba, and Surly until recently. 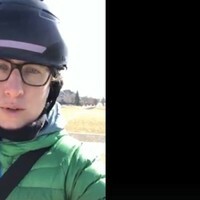 Depending on what you are carrying, and if you are carrying kids, you have to ask yourself how many kids you have, how far apart they are in age, and how devoted you are to riding a cargo bike without your kids or owning multiple bikes for when you ride bikes without your kids strapped to the back of your bike. 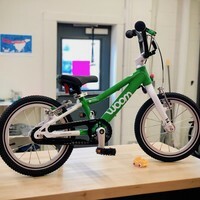 Some of our staff like the flexibility of a shorter bike that allows us to put it on a rear hitch rack, into a train or simply ride it without kids and feel like you are on a normal bike. 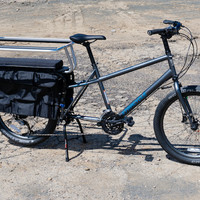 We would speculate that there are a LOT more people that could benefit from a good midtail cargo bike than a full-blown longtail cargo bike and that speculation will be exactly what we are reviewing for as we finish up several midtail cargo bike reviews. Check out some of our curated cargo bikes here!